One year in the middle of the sixteenth century a brief book —totally unlike the boring pastoral novels and even the adventurous novels of chivalry— appeared like a new morning star. 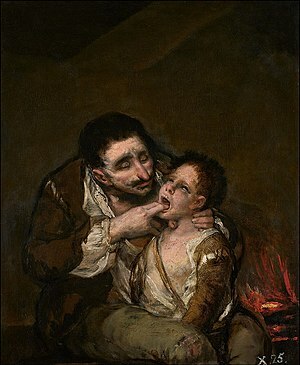 It was The Lazarillo of Tormes. Nowhere in this fresh type of writing readers saw shepherds, knights, castles, damsels in distress, neither giants nor dwarves, nor feats of bravery—they only heard the voice of a lad awakening to the realities of life determined to fight hunger and thus survive by his wits. So successful was this novelette that immediately was translated into other European languages, initiating what today we call the picaresque genre. Soon after it was published in1554, pirated editions appeared in Germany, Holland, and France. But given the book’s anticlerical stance, it was placed in the Inquisition’s Index. Although scholars have attributed the book to renowned humanists and writers of the time, no one has established authorship, and through its publishing history the novel remains anonymous. 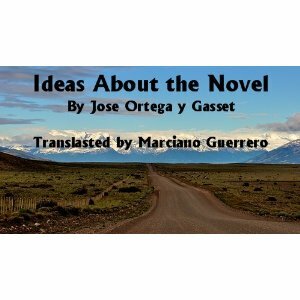 A child of its times, the novelette depicts the life of penury led by of those of the lower strata of society in Spain: misers, beggars, corrupt priests, impoverished squires, pardoners, constables, and others. What all these characters shared in common was their poverty and their hard earned wine and bread. 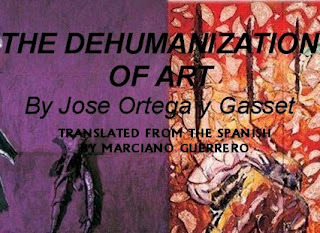 In Lazaro —the narrator and chronicler of his misadventures— we find a precedent of a social thesis that Jean Jacques Rousseau was to develop in the 18th century: that man is born innocent, good, and virtuous, but that it is society that corrupts him; in the case of Lazarus, a kind-hearted boy is turned into a callous, malicious, and cynical human being. Yet throughout all his tribulations the tender sparks of humanity seem to glow around him. As Lazaro himself tells us, he was born of needy parents. His father, a miller worker, was accused and convicted of larceny, though he died the death of a soldier in defense of his nation: “At that time they were gathering an army to go fight the Moors, and my father —having been exiled for the disaster mentioned— went with them as a muleteer for an officer. Loyal servants they were, both he and his master lost their lives.” In a poignant moment, right before Lazaro begins his adventures he goes to see his mother: “And with both of us crying she gave me her blessing, saying ‘Son, I know that I’ll never see you again. 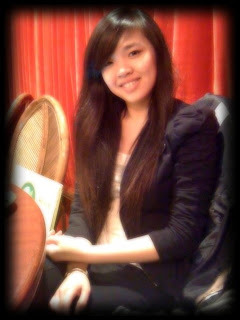 Try to be good and God will be your guide. I’ve raised you and given you to a good master; take good care of yourself.’” Even in the depths of abject poverty and despair, Lazaro preserves an indomitable richness of heart and soul. Just as Cervantes’ Don Quixote had sequels and hack imitations, Lazarillo’s original text suffered deletions, additions, misprints, and second and third volumes. 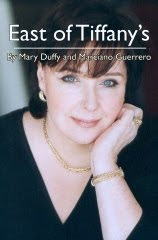 My translation deals only with the original seven chapters. Because The Lazarillo of Tormes pointed a new direction, European and American literature benefited with titles that today are considered classics: Cervantes’ Rinconete and Cortadillo; Daniel Defoe’s Moll Flanders, Henry Fielding’s Tom Jones and Joseph Andrews; Tobias Smollett’s Roderick Random, and Peregrine Pickle; Voltaire’s Candide; Charles Dickens’ David Copperfield. And many others to include American works ranging from Mark Twain to Saul Bellow. 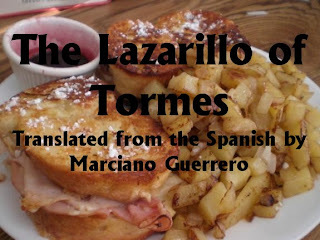 My translation captures the life of Lazaro in contemporary American English. Nowhere in this fresh translation will you find "Thous and Thees" to delay your reading pleasure. 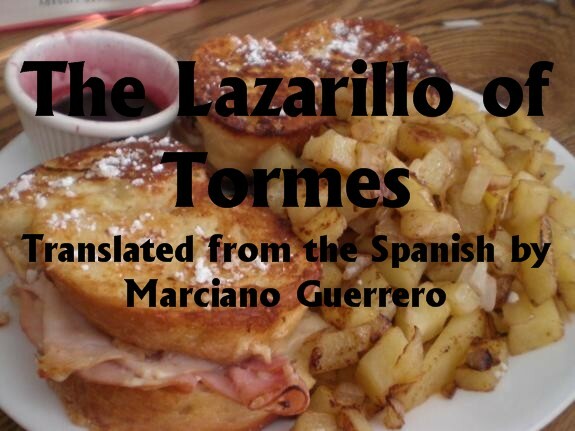 Comments on "The Lazarillo of Tormes (New Translation from the Spanish by Marciano Guerrero)"